Sadhana Forest Haiti is a volunteer-based project aiming to create long-term food security for the area of Anse-à-Pitres, in Southeastern Haiti. This is achieved by planting indigenous food-growing trees with the local population. The project was founded in April 2010 by Sadhana Forest India. We practice a vegan way of living. Anse-à-Pitres is a municipality with 25,000 inhabitants, on an area of 185 km (115 mi), located in the southeastern corner of Haiti, close to the border with the Dominican Republic. A large percentage of the population in Anse-à-Pitres suffers from malnutrition, and from health related problems like: high infant and mother mortality, pre-term labor, and immune deficiency in children and adults. 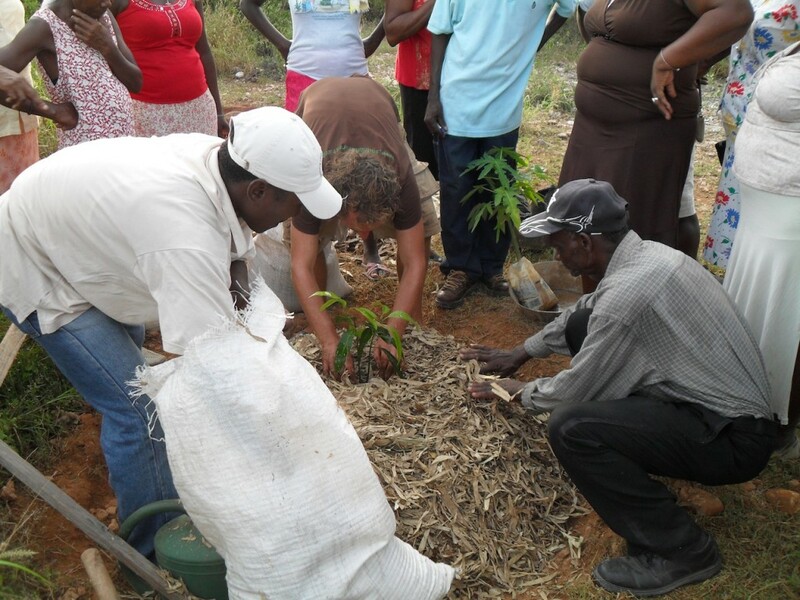 Together with the people of Anse-à-Pitres we have already planted more than 40,000 indigenous food-growing trees. 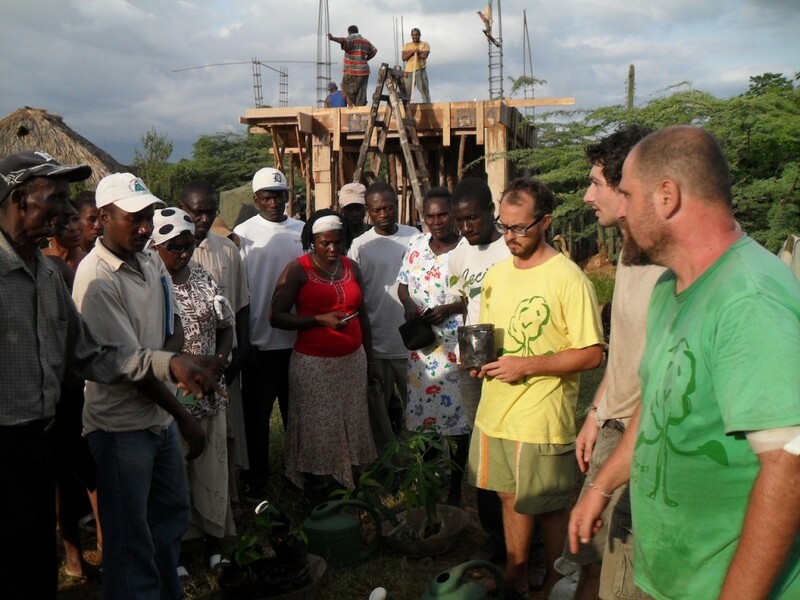 The planting is done mainly in kitchen gardens in the town of Anse-à-Pitres and in mountain villages in the larger Anse-à-Pitres municipal area. Many trees have also been planted in public spaces like parks, schools, etc. 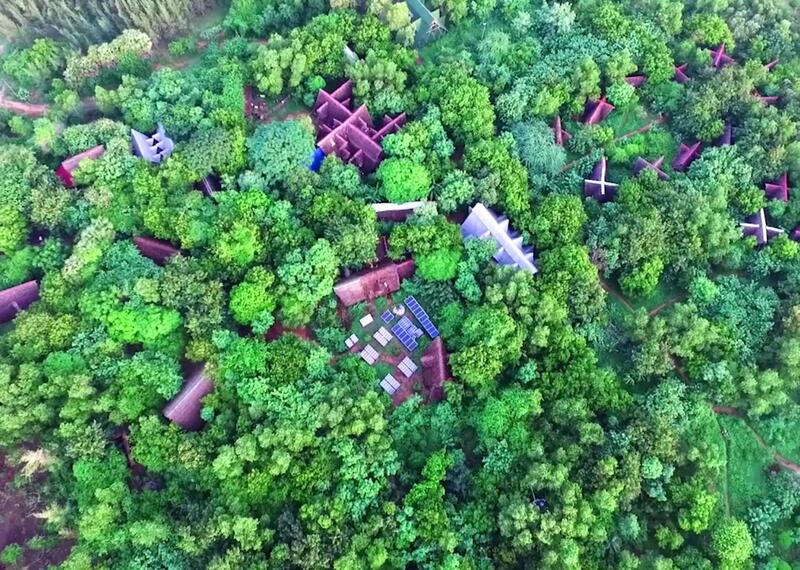 Our four acre campus includes: a fully shaded 55,000 tree nursery, a large dormitory for volunteers plus two smaller ones, a training hall, a kitchen, a solar system, and a small water tank/pool to dip in. Our project is focused on long-term, highly sustainable solutions for the underlying problem of this area. We are not a disaster relief organization! We do not provide short-term solutions such as food and medicine distribution, short-term employment for local people, etc. Sadhana Forest Haiti is managed by project directors who are long-term volunteers of Sadhana Forest India. The project directors have been previously trained in India, and appointed by the International Director of Sadhana Forest to manage Sadhana Forest Haiti for a period of time. Our experience with volunteers has been very positive. Volunteers from all over the world create a dynamic community atmosphere. Living together and sharing brings us in harmony with nature and with ourselves. We are a close-knit community that shares the daily tasks necessary to the project’s success. As one of our volunteers put it very nicely in her letter to us when she left, “May there be many forests to grow people”. We are happy to welcome volunteers here any time of the year and always have plenty of space for them! 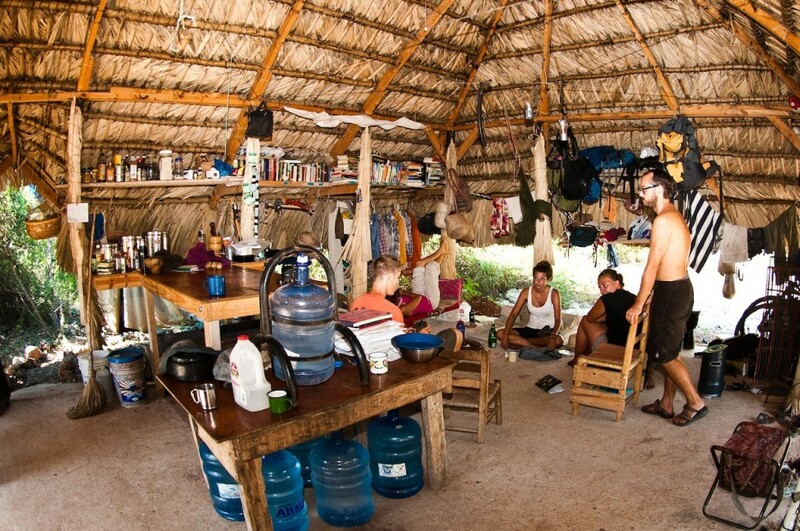 The minimum stay asked of volunteers is one week, although we strongly suggest staying longer in order to enhance your experience and truly understand what sustainable living is about. If staying 3 or more weeks is not an option for you because of school or some other serious commitment, please explain this to us, and we will attempt to work something out for your schedule. Health and safety can be a concern for those unfamiliar with Haiti. We understand this and wish to assure you that Anse-à-Pitres is a rural community, that is at this point in time, far removed from the situations present in some urban parts of the country. Staying safe in Haiti requires your maturity and self-discipline. Based on our knowledge of the local environment and our experience, we have developed a series of guidelines that will help to increase your safety and health. These include restrictions of traveling alone at night and other simple but effective tools that will help you stay safe and healthy, like taking immediate care of cuts and wounds and drinking plenty of water, etc. If you or your family members still have any questions about safety and life in Anse-à-Pitres, tell us and we will do our best to address them and provide further information. Anse-à-Pitres has a population of 12,500. It is a rather poor but very large and friendly village. The vast majority of people here do not have running water or electricity. Our community is approximately 2 km (1.2 mi) from the border and 1.5 km (1 mi) from the shoreline. Our experience here has been one of comfort, safety, and happiness and we feel that many of the health and safety concerns reported about Haiti are less of an issue in our location. There is a government hospital located in Pedernales, Dominican Republic (about a 15 minute motorcycle ride away). In addition, the United Nations (UN) has a nurse on staff 24 hours a day, 7 days a week, in their camp that is located less than 2 km (1.2 mi) away. If there are serious medical emergencies where we cannot get to Pedernales, we are allowed to use the UN facilities. There are multiple cell phone companies with reception in the area, such as Orange, Claro, Digicel and Voila. Sadhana Forest always has a minimum of two cells phones on at all times. We practice an eco-friendly way of life including whole-food veganism, alternative construction, solar energy, biodegradable cleaning products, and compost toilets. We aim to be a zero waste community. Volunteers should not smoke cigarettes, use drugs, or drink alcohol, inside or outside of Sadhana Forest during their entire stay! This includes Anse-à-Pitres and Pedernales, and any other place you will visit during your stay. This guideline helps us stay fully aware of our behavior, and maintains our personal health, safety, and security. Only come to Sadhana Forest if you are 100% sure that you are able and willing to completely respect this! Volunteers who do not respect this guideline are immediately asked to leave. We attempt to encourage a spirit of collaboration in work and play. This means we do not compete with each other in our work and do not play competitive games, such as chess and card games. 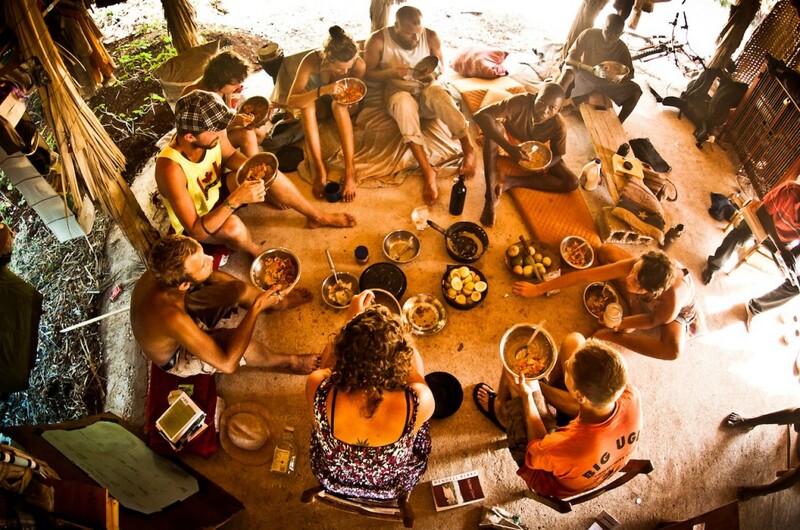 Sadhana Forest is a 100% vegan environment, so we ask volunteers not to bring or eat any non-vegan food in the forest. A vegan is a person who avoids the use of any animal products for nourishment or for any other purpose. Vegans do not eat meat, fish, eggs, dairy (milk) products, honey, or any other animal products. In addition, we do not consume highly processed foods inside of Sadhana Forest. This means you will want to consume any packaged foods you may have before arriving. We also try to live without coffee, green, or black teas. Please bring herbal teas if you would like. We are a non-profit, non-business ecological and humanitarian project that does not generate any income. Therefore we unfortunately cannot afford to provide free food for volunteers. We have communal 100% vegan meals. We ask for a food contribution equal to $6.00 USD per day from those that can afford it. This food contribution is only used for food and helps to support your cost of food plus the shared food costs of long-term volunteers who live here without an income. Everyone takes turns organizing, cooking the meals, and washing the dishes. Depending on the number of people here at a given time, each meal has one or more cooks (volunteers), plus help from whomever is around.